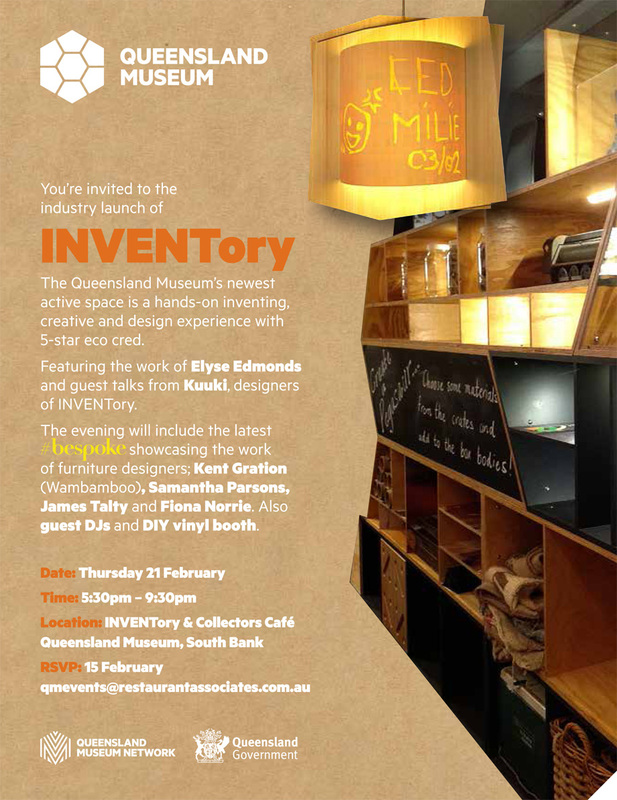 Come and join us for the official opening of The Queensland Museum’s newest activity space, the INVENTORY, designed by Kuuki. Thursday 21st of February – 5:30 to 9:30. Kuuki: Art, Design and Creative Media.